Ramon del Valle-Inclan is one of Spain's greatest dramatists. 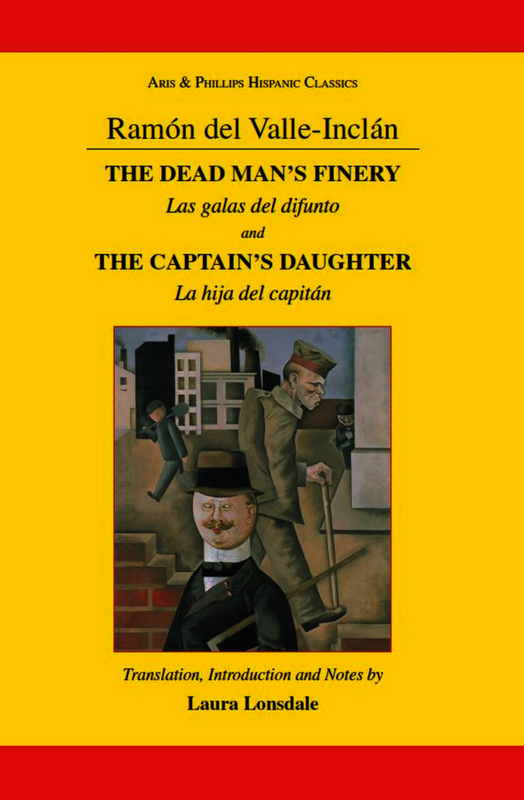 His particular legacy is theesperpento, a satirical mode combining tragedy and farce and characterised by its use of the grotesque.The Dead Man's Finery (1926) andThe Captain's Daughter (1927) are two short esperpentos that satirise the military, which for Valle-Inclan encapsulated the worst and most retrogressive qualities of the Spanish nation. InThe Dead Man's Finery, Johnny Bluster is a decommissioned veteran of the Spanish American War who steals a dead man's clothes in order to woo a prostitute. A parody of the Don Juan legend, the play takes the problematic, protean and devilish Don Juan and sets his outrageous behaviour in a very particular social and historical context.The Captain's Daughteris the most historically and politically oriented of Valle-Inclain's works for the theatre. A man is killed and the accident of his death sets off a chain of events in which exploitation and self-interest are the orchestrating forces, concluding in a military coup that topples the government. An overt satire of the rise to power of General Primo de Rivera in 1923, the play dispenses with the individual protagonist and portrays a society in crisis. Notorious for his recondite use of language, Valle-Inclain emphasises the popular idiom without ever falling into picturesque realism. Rather than recreate accurate modes of speech he creates a mode of expression that highlights incongruity and contrast, emphasising the puppet-like quality of his characters. Translated here for the first time into English, the plays are accompanied by a critical introduction and notes to guide the reader or director of these plays. Notorious for his recondite use of language, in these plays Valle-Inclan emphasises the popular idiom without ever falling into picturesque realism; rather than recreate accurate modes of speech he creates a mode of expression that brings together all the play's characters, regardless of their status or place in society. The emphasis on incongruity and contrast creates a peculiarly sarcastic tone that permeates the dialogue. The plays are accompanied by a critical introduction and notes to guide the reader or director of these plays, both fine examples of Valle-Inclan's expressionistic and experimental theatre.